Hotel Nice Palace New Delhi, Hotel India. Limited Time Offer! 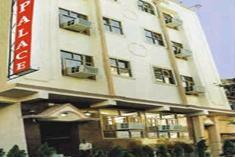 Of a RomanticRead more category, the Hotel Nice Palace has all the comforts such as : Restaurant, Front Desk 24hr, Air conditioning.The hotel is located in the west section of New Delhi, at 17A/13, W.E.A, Gurudwara Road, Opp.Jessa Ram Hospital, only 23470 minutes by car from the city center.High speed internet is available in this hotel.Practical information:This hotel has a parking. This New York City luxury high-rise is 500 meters from the New York Stock Exchange and a short walk from the Wall St. Subway Station. Each apartment includes free Wi-Fi.